Who says you can’t ride when it is cold? 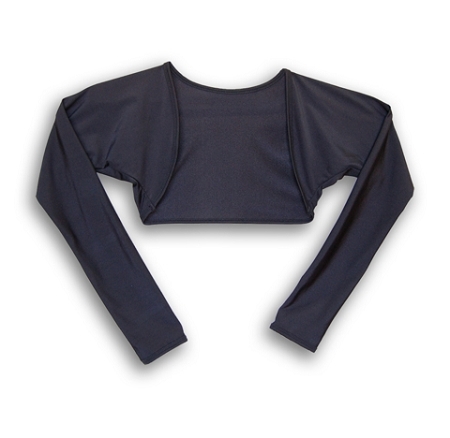 Our newly designed Bolero is a nice alternative to arm warmers. The Bolero comfortably covers your arms and shoulders when the weather turns chilly; now you have no excuses not to ride! The Bolero is constructed with a 4-way stretch fabric with UPF 50+ rating. * Precision Made in the USA!